Marty and Pee Paw return to the Historic Hemet Theatre. 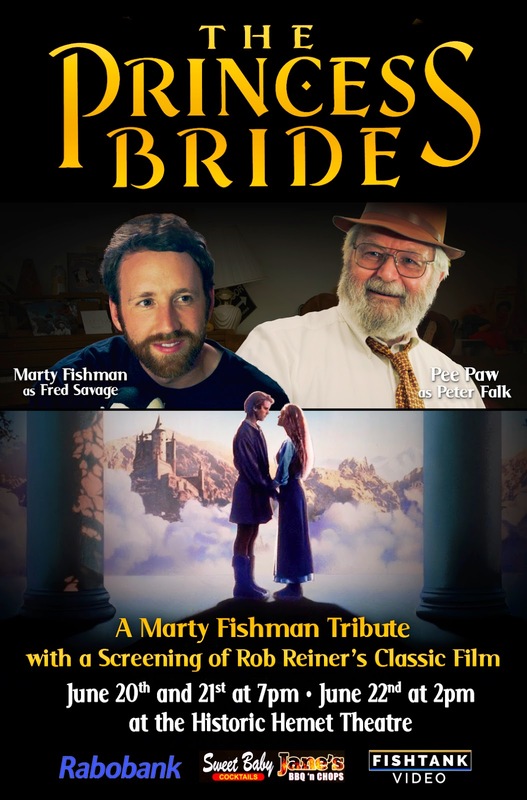 The Fishman Team is presenting a special tribute screening of THE PRINCESS BRIDE for 3 days. June 20th & 21st @ 7:00PM and June 22nd @ 2:00 PM. Remember those scenes where Peter Falk is reading the storybook to his grandson? Well, those scenes have all been replaced with Marty and Pee Paw. There is even an exciting opening dream sequence featuring Dr. Dream and Wendy. Hope you can attend this debut screening experience from Marty Fishman Productions. $7 for General Admission // $5 for Students, Seniors and Children. Read the Press Enterprise article about the Production HERE.